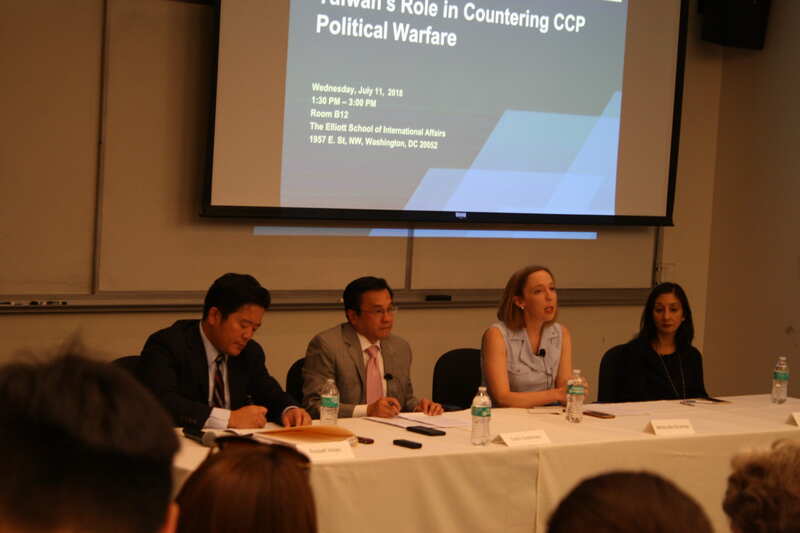 The Trump administration’s 2017 National Security Strategy warned that adversaries “are using information tools in an attempt to undermine the legitimacy of democracies.” Indeed, there is a growing consensus that the Chinese Communist Party (CCP) is currently engaged in a comprehensive coercive campaign that utilizes political warfare to influence and undermine democracies through coercive, corrupt, and covert means. The impact of China’s authoritarian influence is being felt throughout the world, but most visibly in Australia, Canada, New Zealand, Czech Republic, United States, and Taiwan. 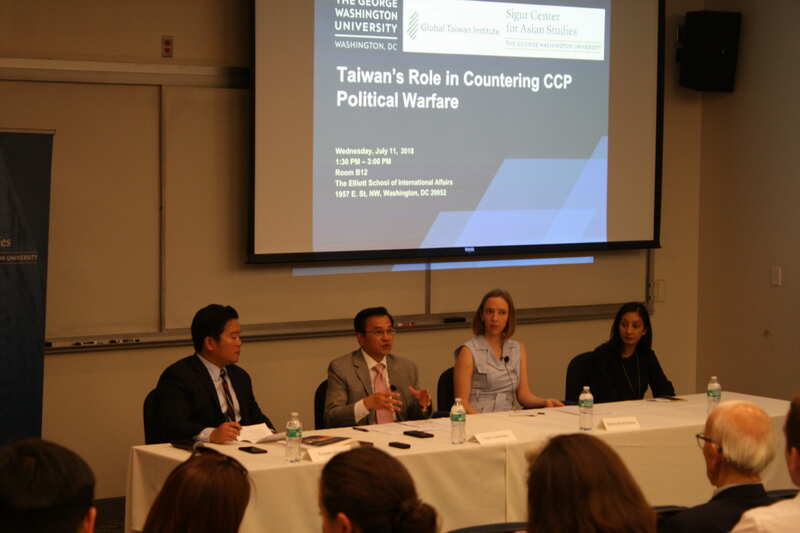 To be clear, the government in Taiwan has the longest experience contending with CCP political warfare than any other governments. 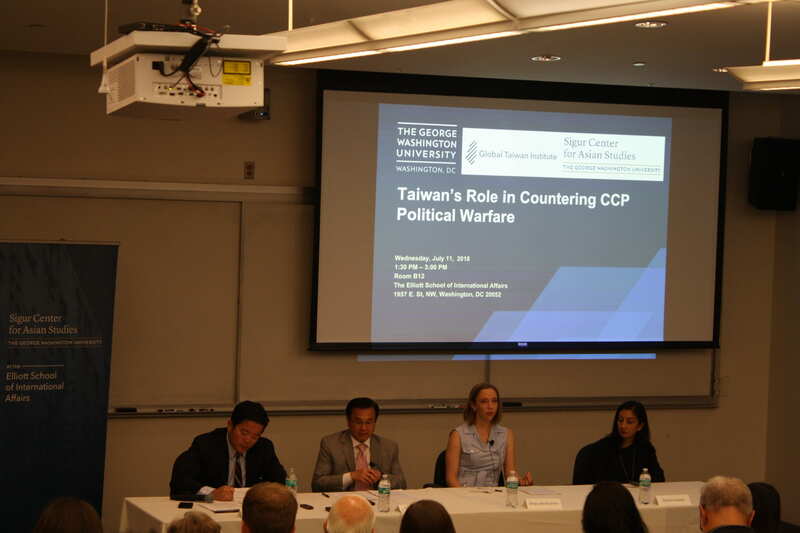 Consequently, Taipei’s counter-measures to this emerging challenge deserves careful study. 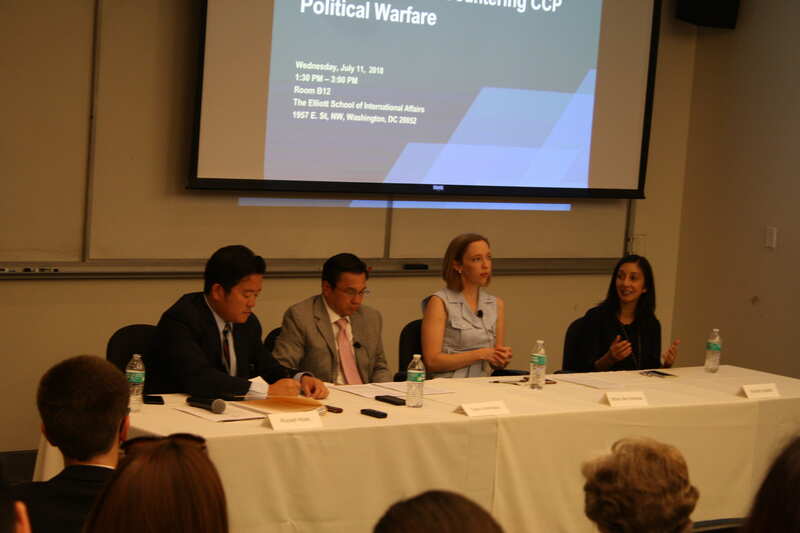 Please join GTI and the Sigur Center for Asian Studies at the George Washington University on July 11 for a timely discussion with a panel of experts: Toshi Yoshihara (Center for Strategic and Budgetary Assessments), Bethany Allen-Ebrahimian (The Daily Beast), and Shanthi Kalathil (National Endowment for Democracy). Doors will open at 1:00. A light refreshment and snack will be served, and the event will begin at 1:30. Kindly RSVP by July 10. Toshi Yoshihara is a Senior Fellow at CSBA. 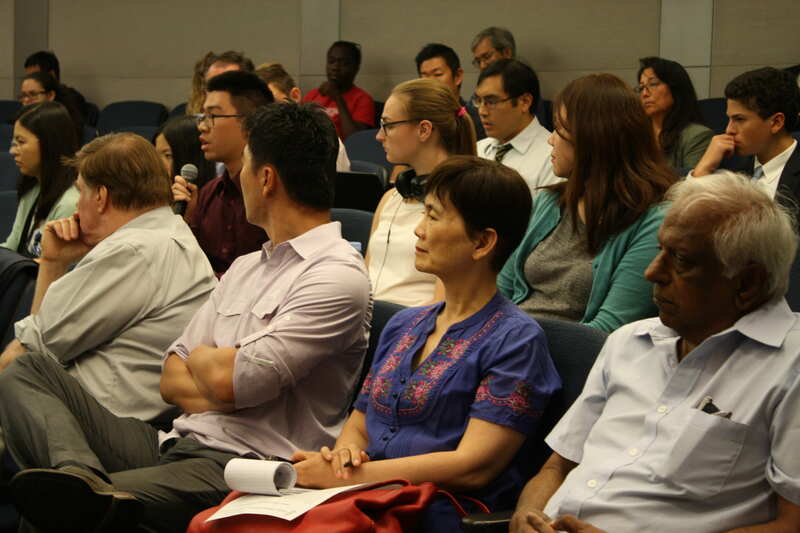 Previously he held the John A. van Beuren Chair of Asia-Pacific Studies at the U.S. Naval War College where he taught strategy for over a decade. He was also an affiliate member of the China Maritime Studies Institute at the War College. 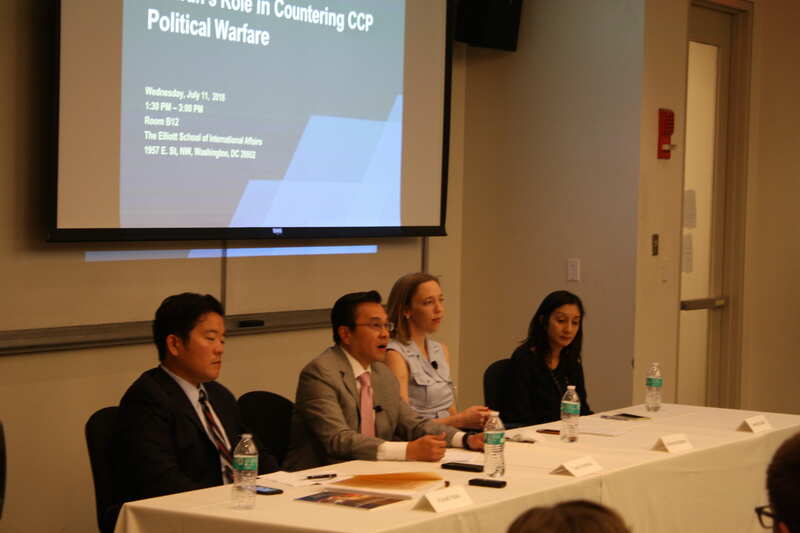 Dr. Yoshihara has been a visiting professor of international politics at the Fletcher School of Law and Diplomacy, Tufts University since 2012. 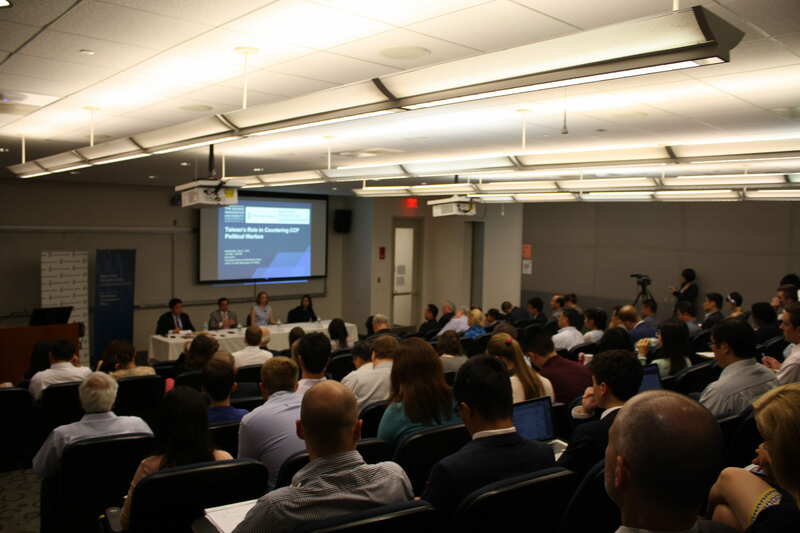 He has also taught as a visiting professor at the School of Global Policy and Strategy, University of California, San Diego and as a visiting professor in the Strategy Department at the U.S. Air War College. He has served as a research analyst at the Institute for Foreign Policy Analysis, RAND, and the American Enterprise Institute. 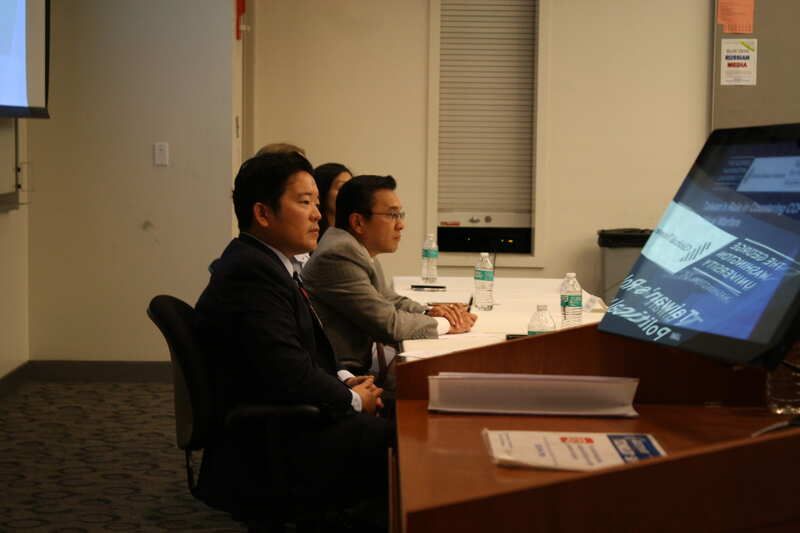 Dr. Yoshihara has testified before the Defense Policy Board, the House Foreign Affairs Committee, and the U.S.-China Economic and Security Review Commission. He is the recipient of the Navy Meritorious Civilian Service Award in recognition of his scholarship on maritime and strategic affairs at the Naval War College. Bethany Allen-Ebrahimian is a Security Reporter at The Daily Beast and previously a contributing reporter at Foreign Policy. She was previously an assistant editor at Foreign Policy’s China channel Tea Leaf Nation. Bethany has appeared on CNN, C-SPAN, BBC, Al Jazeera, PRI, and Deutsche Welle, among other outlets, and her work has also appeared in The New York Times, The Washington Post, and The Atlantic. She covered the 2017 German federal elections as a correspondent in Berlin and has also reported from Russia, Saudi Arabia, Turkey, Austria, China, Japan, and Taiwan. She was a 2017 Arthur F. Burns Fellow in Berlin, a 2016 Jefferson Fellow at the East-West Center, and a 2015 fellow with the International Reporting Project. Before joining Foreign Policy, she lived and worked in China for more than four years. She holds an M.A. in East Asian studies from Yale University and a graduate certificate from the Hopkins-Nanjing Center for Chinese and American Studies. Bethany speaks and reads Chinese. Shanthi Kalathil is Director of the International Forum for Democratic Studies. Her work has focused primarily on issues pertaining to democratization, development, and the impact of information and communication technology, with a particular emphasis on Asia. Previously in her career, she served as a senior Democracy Fellow at the U.S. Agency for International Development, an associate with the Carnegie Endowment for International Peace, a non-resident associate with the Institute for the Study of Diplomacy at Georgetown University, and as a consultant for the World Bank, the Aspen Institute, and other international affairs organizations. Kalathil has appeared on media including NPR, BBC, VOA, RFA, C-SPAN, and others, and has authored or edited numerous policy and scholarly publications, including Diplomacy, Development and Security in the Information Age (Institute for the Study of Diplomacy, 2013), Developing Independent Media as an Institution of Accountable Governance (The World Bank, 2008), and (with Taylor C. Boas) Open Networks, Closed Regimes: The Impact of the Internet on Authoritarian Rule (Carnegie Endowment for International Peace, 2003). 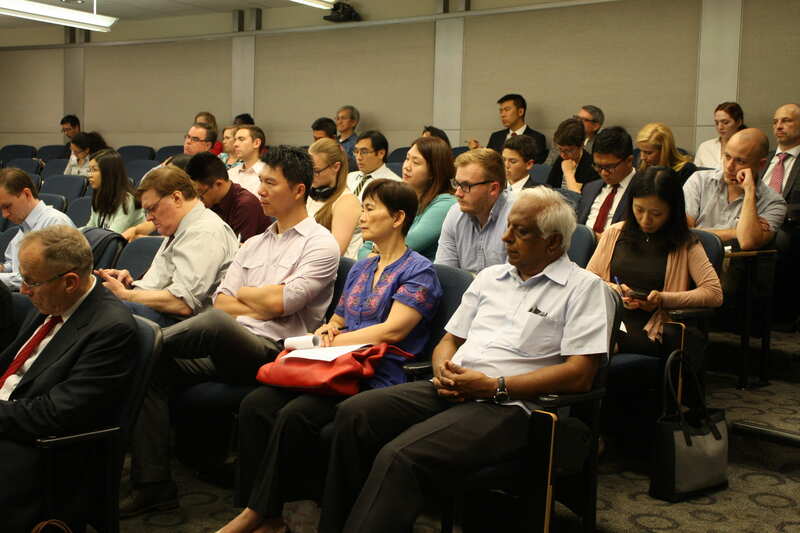 A former Hong Kong-based staff reporter for The Wall Street Journal Asia, Kalathil lectures on international relations in the information age at Georgetown University. She holds degrees from U.C. Berkeley and the London School of Economics and Political Science.